Easy Afghans — Sharon Silverman Crochet: Your source for 'How To' crochet books and fashionable patterns with clear instructions. Yes, you can crochet an afghan! 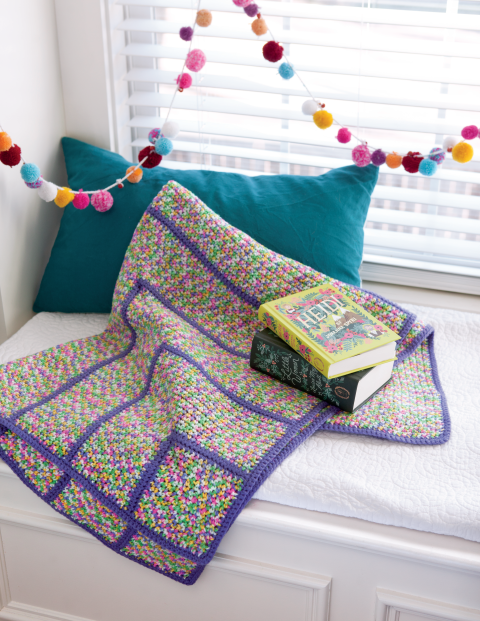 Seven simple projects will help you create beautiful blankets and throws in mitered squares, ripples, motifs, woven plaid, filet crochet, and more. Video links supplement the written instructions and photos. Grab your hook--let's get started!